Minister of Public Enterprises Pravin Gordhan has told Parliament that the next four months at SAA will be critical in determining whether the airline can return to its former glory as a national carrier. 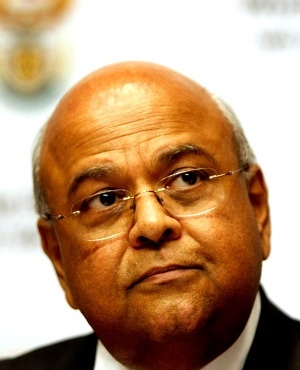 Gordhan was speaking to the committee during its meeting with SAA on the airline's turnaround strategy on Tuesday. "If someone has misspent money and there is no proof that work was done, those who benefited improperly should have their assets frozen, for a start," he said. "Now, applying to courts to have executives declared delinquent is a fairly extensive process. Nonetheless it is part of the remedies we have to look at," he said. Gordhan told the committee that the next four months will be critical in determining whether SAA can return to its former glory as a national carrier. He said of the questions members raised with SAA, many related to state capture. "Together with our team at the department, we walked through SAA and there is no question that SAA is a casualty of corruption," Gordhan said. Gordhan said SAA needed to rebuild its revenue base, manage expenditure and stop leakages for its turnaround strategy to work. He said the company had lost market share, but said the board has "at least stabilised the situation". "On the one hand, they have to work with the finance minister and myself to get better access to liquidity of R9.2bn. But they also have to demonstrate that they are improving in attracting revenue. But let us not delude ourselves. Banks require better assurance that we have a plan and the skills to implement it," he said. He said it was understandable that outside observers found SAA a hard proposition to buy into after years of mismanagement. However, he said he had the full commitment of the SAA board to back public trust in the company.